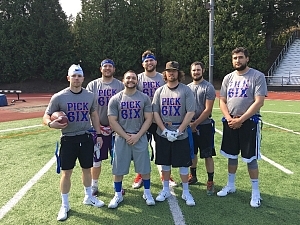 Pick Six is clearly on a quest to hit 100 points in a game this season. No matter who you play, hitting the century mark in Underdog football is an accomplishment. In back-to-back games this week, they got dangerously close. They scored 70 and 86 points in their two games. Maybe if hadn't been such a wet and slippery day, they would've reached their goal. We will be keeping an eye on that offense all season!